Sure Cash App Review – Sure To Leave You Broke! Welcome to my review of the Sure Cash App system, which is a system that’s promising us ‘risk free, guaranteed returns’ on binary options trades. Understandably those bold claims are leaving people pretty skeptical so I’ve decided to check it out for myself to determine once & for all whether or not it actually works, and most importantly whether or not it can actually make us any money. So if you’re considering buying into this system then you’re in the right place because I’m not an affiliate. This means that what you’ll be getting here is a 100% honest review, not some ‘hyped us BS’ that’s simply been put together to try & sell you the system for a commission. As always I’ll only ever recommend something if I know it’s proven to deliver results & lives up to it’s promises. Right from the start I want to make it clear that is a binary options system (a ‘supposedly’ free one). The reason I want to make that clear is because these types of systems have built up a pretty bad reputation for making false promises & taking peoples money. I’m not going to tar this one with the same brush but basically I’m not going to be getting my hopes up & I suggest you don’t either. The chances of it working & living up to it’s promises are very slim, but I’m going to check it out anyway *just in case*. 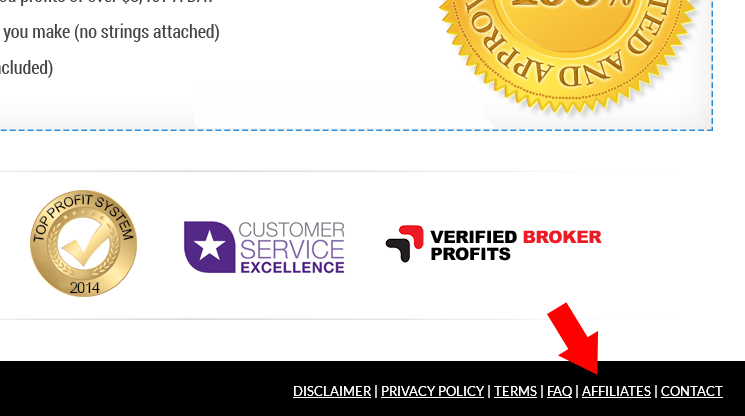 One thing this system certainly does deliver on is big promises since it claims to offer a minimum monthly profit ‘warranty’ of $10,000 per month. No doubt that will raise a few eyebrows & catch peoples attention, but the real question is whether there’s actually any truth behind it or is it just another BS claim like the ones made by all of the other ‘free’ binary options systems that have came before it? This system seems to spend more time throwing claims, guarantees & testimonials at you than it does explaining how it actually works. “Sure Cash App is powered by dynamic precision adjustment technology to to identify super accurate real time trends & create an influx of profitable opportunities”. Basically, that translates to “it looks for potentially profitable trades & puts money on them”. The question is, does it work as promised?…. Apparently not. I did some digging online & found a whole load of comments from pi**ed off people that had deposited money into this system only to end up losing it all in just a matter of hours. It turns out that despite it’s fancy claims, guarantees & big words this system is nothing but a whole load of hype. This system hasn’t been created by a trader or financial expert as you’re lead to believe in the video, instead it’s actually been created by an internet marketer. The internet marketer behind this system is affiliated with a broker, and whenever they get somebody to sign up & make a deposit with that broker they get paid a commission (a pretty big one too). But one thing they realized is that most people know how risky binary options trading is, meaning it’s pretty difficult to get anybody to sign up with the brokers… They find it annoying because those big commissions are staring them right in the face but they just can’t get anybody to sign up… If only they could find a way to get people to join they’d make a fortune. So they thought…. and thought…. and thought…. And then they came up with an idea. What if they could reassure people that they’d be able to make a profit on their trades? If people felt confident that they’d be able to make a profit on the money that they deposit they’d be much more likely to sign up right?… Right. So what they did is create a hyped up system which lures people in & makes them believe it has the answer to being able to make autopilot profits on binary option trades. Of course people are only left to find out that this isn’t actually the case after they’ve signed up and deposited their funds, but by this point it’s too late. The creator of the system has already earned their big fat commission & the broker won’t offer a refund… They’ve lost their money. In other words it’s nothing more than a dressed up scam, and the Sure Cash App is no different. It’s just another so called ‘free’ binary options system that does nothing more than offer false promises in the hope of getting you to sign up & deposit so that the creator can earn himself/herself a big fat commission. Firstly, why would they pay people to promote it for them? Answer: because they know that they’re going to make huge commissions from every person that signs up. Secondly, if the system worked as promised & generated $10,000 per week on auto-pilot, why on earth would anybody waste their time promoting the system for a measly commission? Answer: because it clearly doesn’t work! So yes, I’ll admit that I didn’t go ahead & try this system out for myself (because I didn’t want to lose $250), but you can clearly see from the evidence that it’s no different to any of the other supposedly ‘free’ binary options systems that have came before it. Not that I expected it to be mind, but still I wanted to at least give it the benefit of the doubt & check it out *just to be sure*. Binary options trading is bad enough on it’s own, but these systems just make things a million times worse. Truthfully there’s no way I’d ever recommend binary options trading to anybody – it’s nothing but a waste of money. I know some people make it look easy but the truth is very few people actually manage to make a profit, and for those that do it’s not sustainable, it’s just luck. No matter what you say at the end of the day binary trading is nothing more than a gamble – you win or lose, and more often than not it’s lose. If you truly want to build an income online then you’re best off learning a real skill such as online marketing – that’s where the big money is at. It used to be pretty difficult but now there’s systems that have been built to make it ‘push button’ easy, and pretty fun at the same time too. Take me for an example, I used to work as an electrician… I didn’t have a clue about computers, then I plugged myself into an IM system & here I am today generating a full time income from the comfort of my home. I’m not saying that to show off, I just want to show you that it’s most certainly possible & to hopefully give you a bit of inspiration to go ahead & achieve it for yourself. But anyway that’s enough of me waffling on, back to this system & just to reiterate, it doesn’t work! Whatever you do don’t try it, unless you want to lose your money. (I know for a fine fact some of you are still going to try it – but don’t say I didn’t warn you). Thanks for reading my review, I really hope it helped you save some money & if you have any comments feel free to leave them below. Is Secret Income Formula a Scam or Legit System? Read My Review Before Joining! Quick Pay Survey Review – Be Warned, The Whole Thing Could Be a Scam! 2 Responses to "Sure Cash App Review – Sure To Leave You Broke!"